Tartar is basically the plaque on the teeth that has hardened. If too much tartar builds up on teeth and under your gums, for example, it can lead to the danger of gum disease. Tartar control toothpaste is perfect for those who have experienced the buildup of tartar on their teeth and need to minimize this problem. Many people experience pain when consuming hot or cold food and drinks. In this case, toothpaste made for sensitive teeth can help. It contains active ingredients that will desensitize the nerve endings and reduce overall tooth sensitivity. They are also less abrasive and designed to be gentle to your teeth and gums. Baking soda is used in a great number of products today, from cleaners to chewing gum. Now it also is included in toothpaste. Baking soda is ideal for effectively removing surface stains and that applies to teeth as well. It can also help reduce gum irritation and offers an option to the standard mint flavor. This is a benefit added into many different toothpastes today. But do they really whiten teeth? Most whitening toothpastes contain hydrogen peroxide or calcium peroxide and can be abrasive. That is why dentists offer other teeth whitening options since many of them consider some of these toothpastes too harsh for teeth, with constant use possibly leading to tooth sensitivity. These unique products are specially designed to remove nicotine and tar stains from your teeth as well as bad breath caused by smoking. 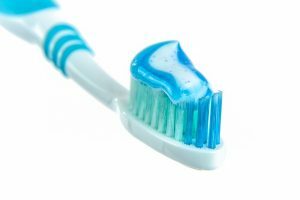 Since some kids tend to be fairly picky when it comes to what they eat and drink, they can also shy away from certain flavors of toothpaste, including the common mint flavor. But there are other options including fruit flavors that may be just the thing to encourage regular brushing by kids. If you have any questions about what might be best for you, just ask your friendly dental professionals at Longmeadow Family Dental Care. The procedure of incising a fluctuant mucosal lesion to allow for the release of fluid from the lesion.